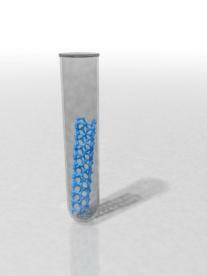 « Understanding Carbon Nanotubes – What Is A Nanotube? Nanotubes are a round connection of atoms that create one of three distinctive patterns, capped at the ends by fullerene molecules. These tubes can be manipulated with care to conduct electricity and to withstand very great stresses. The nanotubes are stronger than steel and can be directed to take on specific human cell or be used to create special coatings for the quantum wires that can be used for a host of potential applications of nanotechnology. While the idea of materialization is still rather far from our current reality, but this could essentially become another application for nanotubes, nanotechnology, and the high tech communications that would be necessary for such an event. The idea is that nanotechnology could potentially dispense with the need for a monetary system. With materialization, high tech machines would allow people to simply push a button for their daily needs. The molecular structure of the item would be completed by the machines that are in each home. With this sort of immediate response system, there would be no need for money in our society for daily items. The idea might seem far fetched and even in the realm of science fiction, but the potential is there as one of the many applications of nanotubes. Nanotubes are very good at conducting communicative impulses, whether in the body or through technological devices. With the creation of special coatings for the nanotubes, the science may very well give sight to the blind, sound to the hearing impaired, and motion to the paralyzed. Medically speaking we could soon find a new field of specialty known as nanosurgery. In these procedures, cancer cells or other diseased cells could be eradicated from the body and then replaced by engineered nanotubes that are ready to redevelop the diseased cells with healthy impulses. It is speculated that the application of nanotubes in medical procedures are likely to completely change the way illness and injury are handled. Ecologically speaking, nanotubes can change the way we perform ecological research. With the nanotubes, we can create very tiny chips that can record and transmit information that is vital to understanding the way the creatures within the environment are being affected by the changing world. Through these observations, we can then determine the best way to coexist with the natural world while understanding the impact on ecology we have all the way down to insects and fauna. The purpose of nanotubes is to potentially help with understanding the realm of space. Scientists can create computers that are crafted from particles and wires that are as small as human cells. This would mean that we would be able to send these ultra tiny communication devices farther into space. Since the nanotube is about 100 times stronger than steel, the chances of it making back to Earth despite the atmospheric conditions are probable. Scientists could then download or track the information from these tiny computer devices in order to know what lays beyond the limits of human exploration of space. As the science of nanotechnology progresses the applications for nanotechnology will grow and expand. Many nano scientists believe that there will be no limits to the power of progress that nanotubes will introduce to the world over the next fifty years. Because this science is so young, it is almost impossible to predict just how much something that measures one tenth the width of a human hair will be able to change our world and improve our living conditions. Everything from ultra smart nano robots to changes in the health care options patients have, and even the potential to engineer our children to be smarter and faster people could be the result of finding new applications for nanotubes. This exciting science is just getting started and the next ten years will start to really open up the true realm of possibilities and we’ll definitely find different purposes of carbon nanotubes that we haven’t even considered yet. This entry was posted on June 18, 2009, 2:16 pm and is filed under nanotubes. You can follow any responses to this entry through RSS 2.0. You can leave a response, or trackback from your own site.